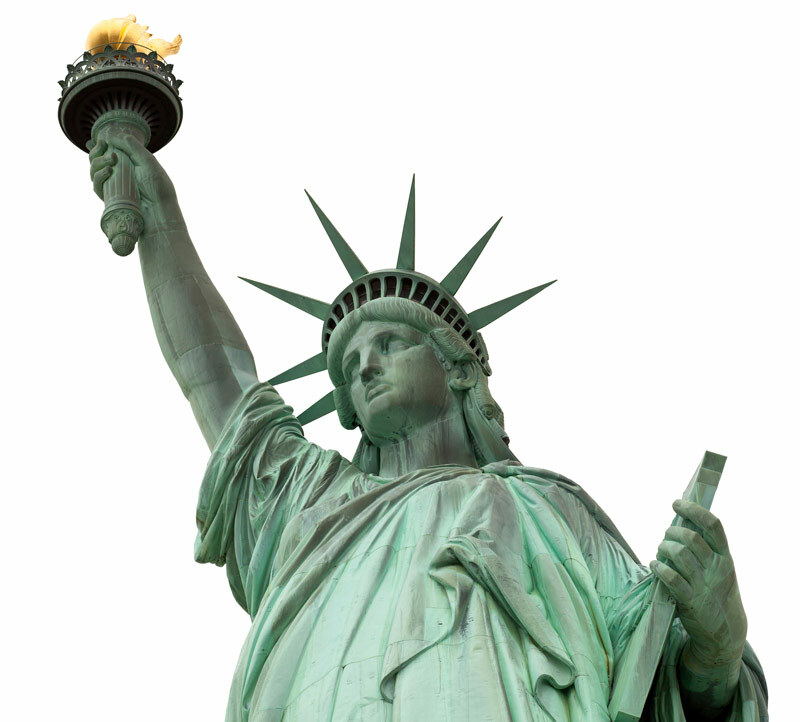 Sodium Bicarbonate (baking soda) abrasive blasting got its start back in the 1980’s during the massive restoration project of the Statue of Liberty in NY Harbor. During the preparation for this project, the Church & Dwight Co., Inc. maker of ARM & HAMMER™ baking soda was contacted by the Engineers overseeing the project. The engineers were looking for a way to remove the final two interior coats of cold tar epoxy without damaging Lady Liberty’s delicate copper skin. Through trial and error, the engineers tested many different blasting abrasives all which damaged and even blasted right through the skin. The engineers soon discovered that Sodium Bicarbonate (baking soda) had extraordinary cleaning and coating removal properties all while not causing any damage to Lady Liberty’s delicate copper skin. Following this success, the Church & Dwight Co., Inc. launched the ARMEX™ brand the first Sodium Bicarbonate blasting abrasive. What is abrasive blasting? Abrasive blasting is using pressurized air or water containing a suspended particle that is projected at a surface for the purpose of degreasing or removing burnt on carbon, coatings and other contaminants. What do you need? Sodium Bicarbonate can be used in a self-contained blast cabinet or blast room delivered by low pressurized air or water. The pressure gives energy to the Sodium Bicarbonate. The higher the air pressures the greater the energy given to the Sodium Bicarbonate thus the greater the aggressiveness in cleaning. However, air or water pressure does not need to be high pressure when using Sodium Bicarbonate. In many applications pressures never exceed 100 PSI. What gives Sodium Bicarbonate its uniqueness and extremely effective cleaning power is not the energy delivering it to the surface but the explosion of the Sodium Bicarbonate crystal on impact. It is this explosion of the Sodium Bicarbonate crystal that cleans the surface. You may ask yourself “What makes Sodium Bicarbonate different from other blasting abrasives?” When part specifications and surface tolerances cannot change, the only blasting abrasive to use is Sodium Bicarbonate. The reason for this is the gentle physical propriety of Sodium Bicarbonate yet aggressive cleaning ability will never damage parts, is safe to use on bearings and other moving parts and will not remove anodized corrosion protection from aluminum. Other blasting abrasives can remove surface metals and materials from parts which can change the original specifications and tolerances, rendering the parts unusable. Harder blasting abrasives even can damage treads and aluminum parts because of the softness of it composition compared to other harder metals. The reason for this is the hardness of other abrasives. On the Moh’s scale Sodium Bicarbonate has the lowest hardness rating with Aluminum Oxide being the highest and sand and glass beads being in the middle of the Moh’s hardness scale. Another advantage of Sodium Bicarbonate is it is soluble which means it will dissolve in water and even oil so no blasting particles will ever be left behind in critical passageways like other abrasives can, which increase the risk of part failure when placed back into service. Sodium Bicarbonate also has a pH of 8.2 which makes it pH neutral; subsequently it is neither acidic nor high in alkalinity. These characteristics of Sodium Bicarbonate are what makes Sodium Bicarbonate the only choice for non-destructive cleaning. Sodium Bicarbonate can be used in a self-contained blast cabinet or blast room delivered by low pressurized air or water. Sodium Bicarbonate does not require any chemical pre-rinsing or hot temperature baking. Sodium Bicarbonate is a one step process whether cleaning a turbo, aluminum heads, intakes, housings, fuel injectors and any other engine or transmission parts that need to be degreased or have burnt on carbon, coatings and other contaminants removed Sodium Bicarbonate is the only choice. Sodium Bicarbonate additionally is environmentally friendly and non-hazardous which will limit operator’s exposure to and disposal of hazardous materials. Sodium Bicarbonate furthermore is non-flammable and will not thermal spark when blasting, making Sodium Bicarbonate very safe to use when sparking is a concern. Not all Sodium Bicarbonates are the same. Sodium Bicarbonate comes in different grades of materials which affect product quality and consistency as well as different granule sizes from 70 to 270 microns. The micron size will determine the level or aggressiveness of cleaning with 70 microns being the largest Sodium Bicarbonate crystal providing the optimum level of cleaning and 270 microns for more delicate cleaning. ARMEX™ formulations are unique and distinct from other Sodium Bicarbonate blasting abrasives. ARMEX™ formulations are manufactured in a consistent and controlled environment and are made from the highest Sodium Bicarbonate grade available. ARMEX™ products defending on the formulation has flow aids and advance moisture control to help prevent equipment from getting clogged and higher production rates when used in wet blast surroundings. Sodium Bicarbonate is a natural descent and loves to absorb water, Sodium Bicarbonate is hydrophilic. Sodium Bicarbonate without flow aids or advance moisture control scan clog equipment when in high humidity or high moisture environments. 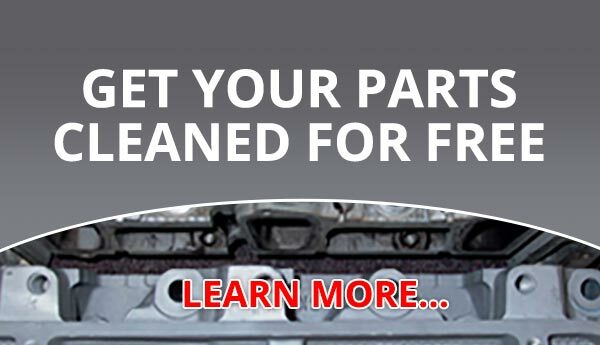 ARMEX™ even has products with surfactants and rinse accelerators SupraKleen™ that help during the rinsing process to prevent surface contamination when repainting parts is a requirement. Where Sodium Bicarbonate won’t perform well, if cleaning parts with heavy rust removal is required, deep surface profiles are required, parts being cleaned are not worth the cost to justify using Sodium Bicarbonate or parts being cleaned do not require non-destructive cleaning. Whether cleaning a turbo, aluminum heads, intakes, housings, fuel injectors and any other engine or transmission parts the questions you need to ask yourself “Is non-destructive cleaning Critical?” If yes, Sodium Bicarbonate is your only choice for abrasive blast cleaning. ARMEX has a network of authorized distributors worldwide that sell portable and contained soda-blasting equipment systems, parts and accessories as well as the full line of ARMEX Blast Media Formulas. Soda-blasting distributors can be found here.